Sometimes the Stars: Rimmel Lasting Finish by Kate Moss Lipsticks. 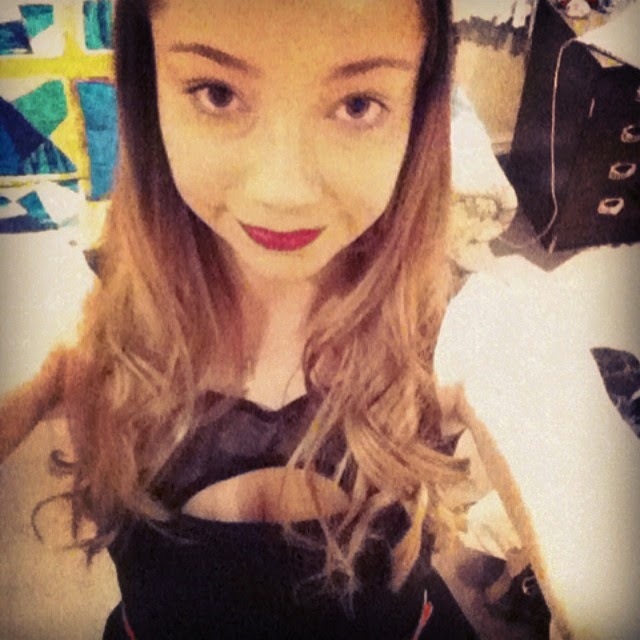 Hi, I'm Beth, and I am a lipstick addict. I have way more than is humanly necessary... 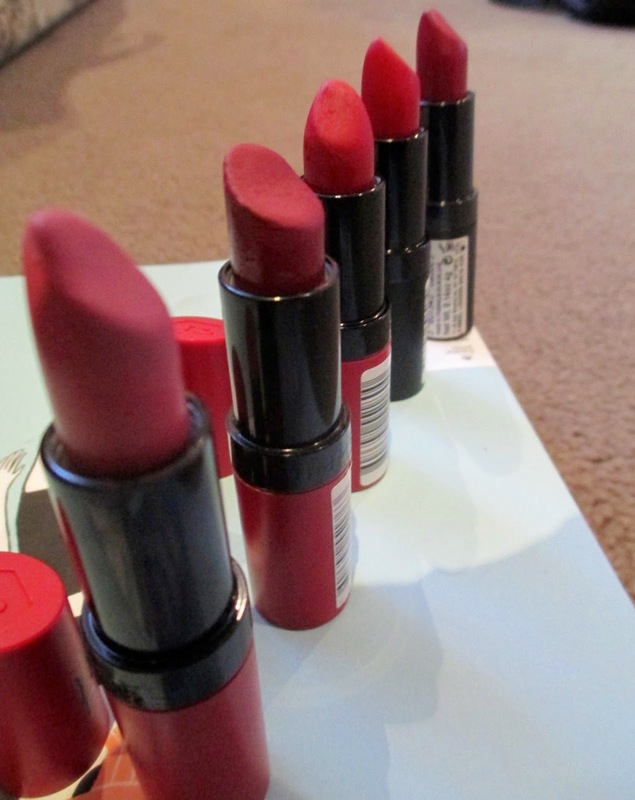 Many of these lipsticks are the Rimmel Lasting Finish Lipsticks by Kate Moss. And let me just say, I love them. I love everything about them. The formula of these is lovely. 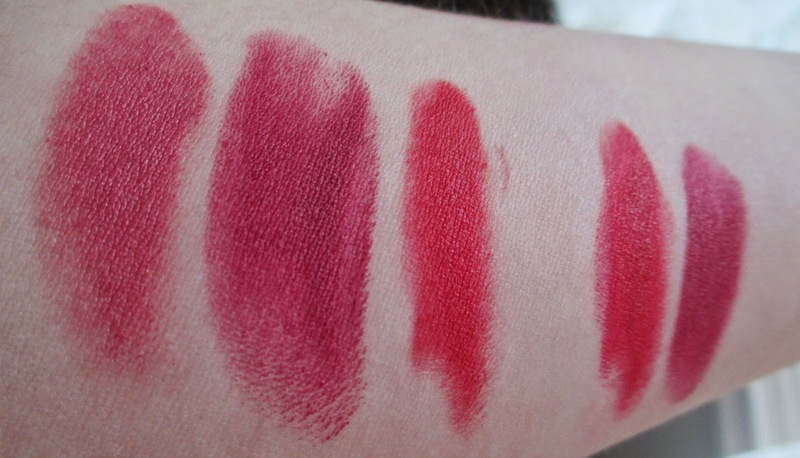 They're creamy, pigmented, they smell nice, and there's a great shade range, (even though I stick mainly to reds). The ones in the red packaging dry matte, and last and last. I used to wear these with lip liner and lip cote (see my post here), but I realised, for these ones you don't need to bother faffing around, they just last. The ones in the black are slightly more glossy, and don't tend to last quite as long. As a poor university student, these also aren't too bad on the bank balance! They retail for about $12, but are often on offer, which makes it far too easy to pick up multiple shades at once. L-R: 103, 107, 111, 10, 09. I currently own (in the red packaging) 103, 107, 111, (in the black packaging) 09 and 10. 103 is a muted pink, with a hint if brown, that is great to throw on for everyday wear. 107 is a dark wine/red colour, that you'll often see Zoella sporting, (and not going to lie, that is where my love for these started). 111 is a bright red, but it doesn't have an orange tone to it. 09 is very, very similar to 107 and 10 is very similar to 111, but you've got to have one in each formula! Have you tried any of these? What other shades do I need? Gorgeous lipsticks! Have to get me shade 109! It looks like a perfect purple-y shade for Autumn.